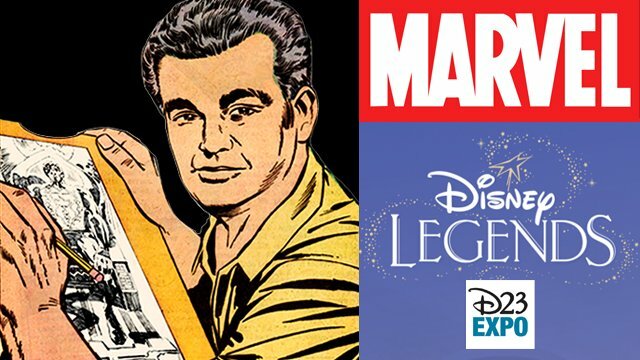 This July, the legendary Jack Kirby will be honored for his remarkable creative achievements as a Disney Legend in a ceremony to be held at this year’s D23 Expo in Anaheim, California. Hosted by Disney Chairman and CEO Bob Iger, the Disney Legends Award ceremony will take place at 10am on Friday, July 14, in Hall D23. Jack Kirby first grabbed our attention in the spring of 1941 with Captain America, a character he created with Joe Simon. Kirby then followed this debut with a prolific output of comic books in the Western, Romance, and Monster genres – all a prelude to his defining work helping to create the foundations of the Marvel Universe. For the next decade, Kirby and co-creator Stan Lee would introduce a mind-boggling array of new characters and teams — including the Avengers, Hulk, Thor, Iron Man, Silver Surfer, Ant-Man, Wasp, Black Panther, S.H.I.E.L.D., and the Inhumans. Kirby was inducted into the Eisner Hall of Fame’s 1987 inaugural class and continued creating comics throughout the ’90s before passing away in 1994.